This one is an old favourite from when I was at school and we had to make goodies for cake sales. Melt some chocolate and then stir in rice crispies, raisons or even some chopped cherries and then spoon into cupcake holders to set. These Rice Crispie chocolates are yummy indeed. 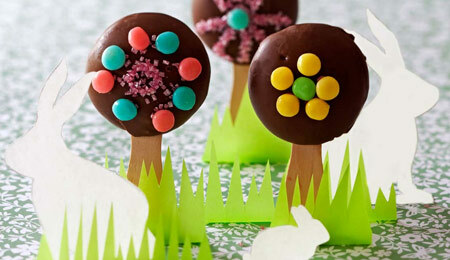 For something summery and fairly healthy, why not make some Frozen Yoghurt Lollies? All you’ll need is yoghurt, some fruit juice and some fresh berries and you mix together and freeze in lolly containers. Nice and refreshing! A cute thing to make is a Sweet Kebab. 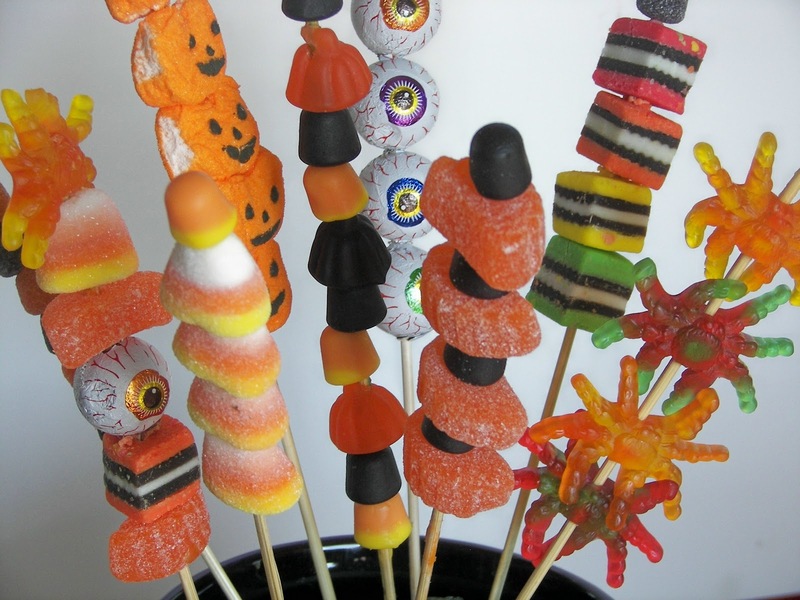 Thread some soft sweets onto a kebab stick. Make it interesting with sweets such as liquorice all sorts, marshmallows, wine gums, sour worms, dried fruit, turkish delight and nougat.